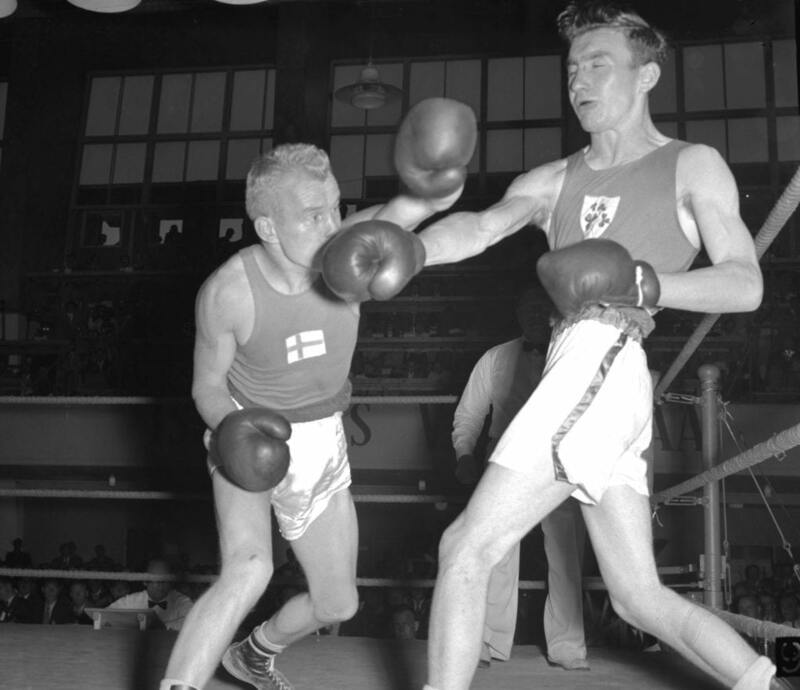 The photographs of the Sports Museum of Finland revisit the greatest moments of Finnish sports but also document the development of sports facilities in the country, changes in sporting habits of ordinary Finns and activities of people who have worked in numerous sports organizations. Most of the photographs predate the 1970’s, but there is also new material from modern photographers. 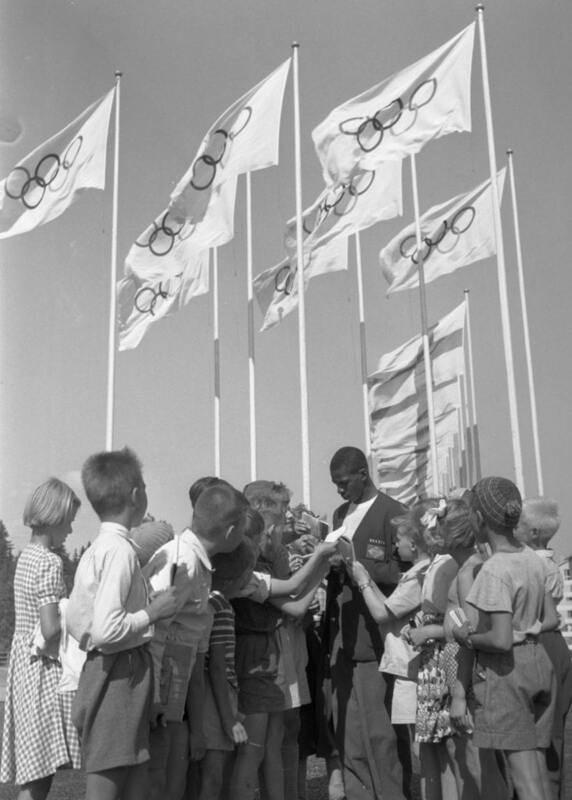 The Helsinki Olympic Games of 1952 are covered in a special collection containing more than 10,000 negatives. You can visit our online store to see our most popular photographs and place your order. ONLINE STORE Price list Terms of delivery and use Note that the website contains only a fraction of all our digitized photographs: if you do not find what you are looking for, please contact our photograph archives. 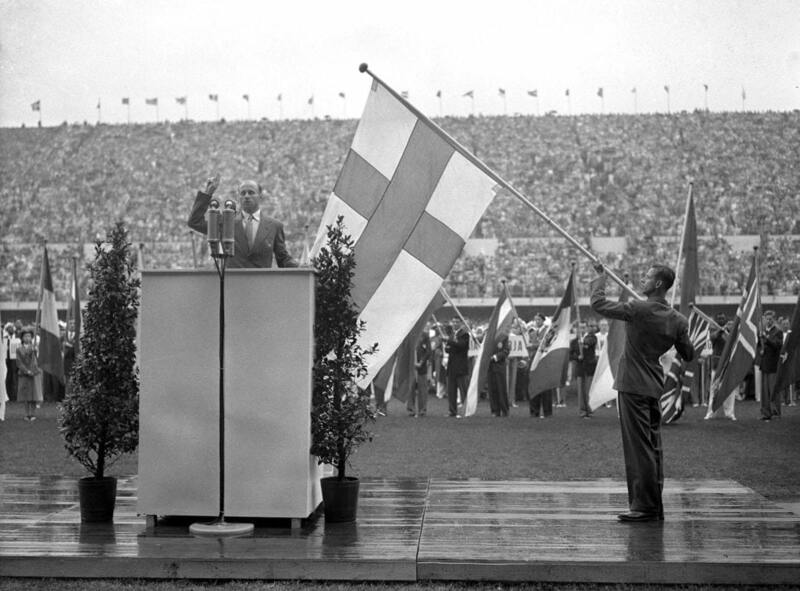 The gymnast Heikki Savolainen swearing the Olympic oath at the opening ceremony on 19 July 1952. Savolainen took part in his fifth Olympic Games and won his ninth medal in Helsinki: bronze in the team competition. 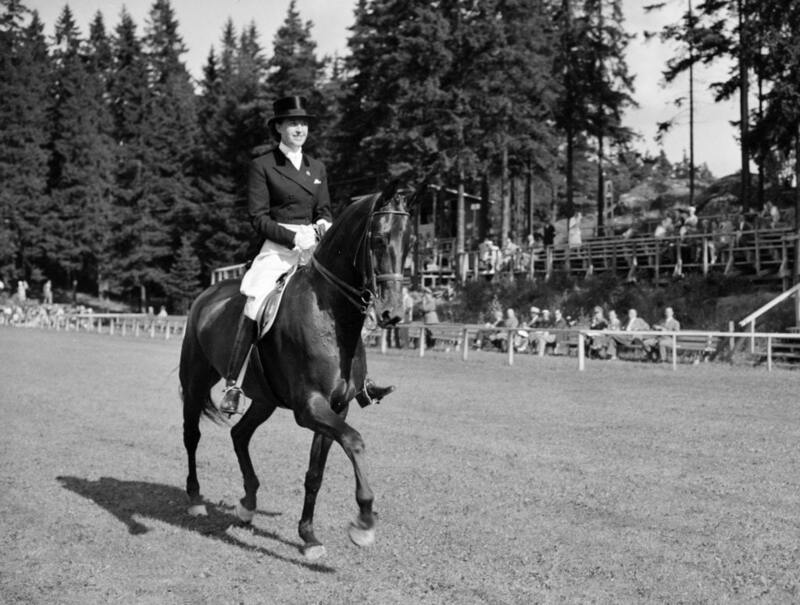 Lis Hartel riding her horse Jubilee in the Olympic dressage competition in Helsinki on 29 July 1952. Eight years earlier Hartel had contracted polio, which left her paralysed below the knees: she had to be helped onto the horse when she rode. Despite that difficulty she won silver in Helsinki and thus became the first ever female Olympic medallist in equestrian sport. 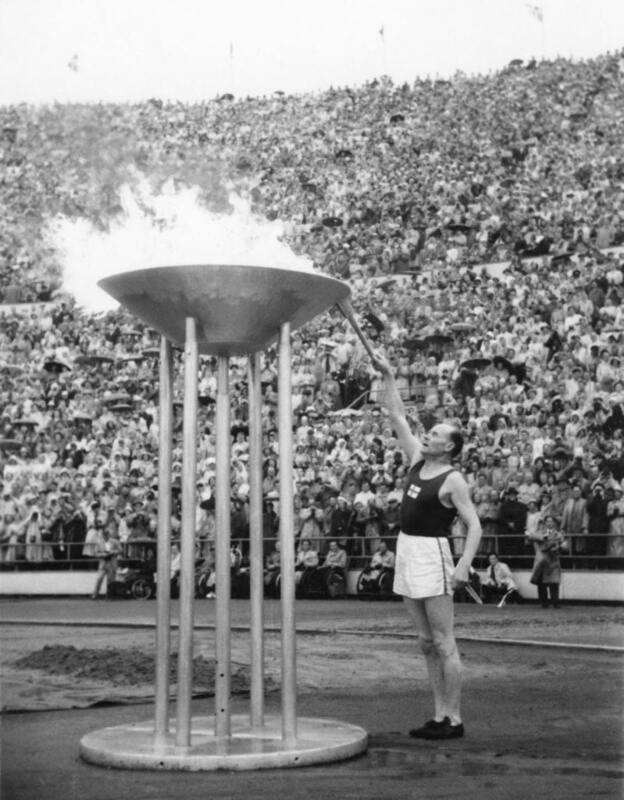 Adhemar Ferreira da Silva of Brazil was one of the most popular Olympic champions in Helsinki 1952. 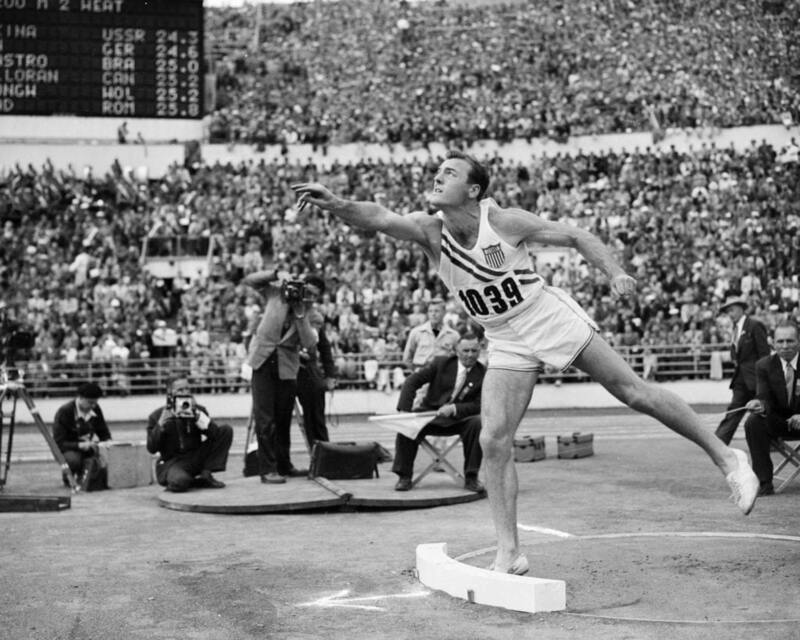 He won gold in triple jump on 23 July 1952 with a new world record of 16.22 metres. In fact, four of his six jumps surpassed the previous world best. In this picture Ferreira da Silva is giving autographs in the Olympic village. 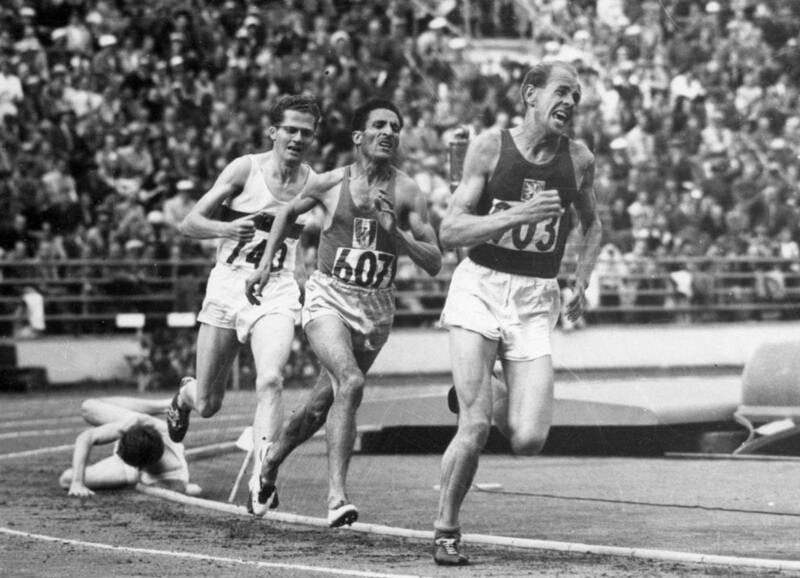 Joseph Barthel of Luxembourg crosses the finish line as winner of the Olympic 1,500-metre final on 26 July 1952, followed by Robert McMillen of the USA (left), Werner Lueg of Germany and Roger Bannister of Great Britain (middle). Barthel became the first Olympic champion of his small home country. The national stadium of Luxembourg is named after him. More info about The Hungarian team celebrating victory in the Olympic football tournament on 2 August 1952. 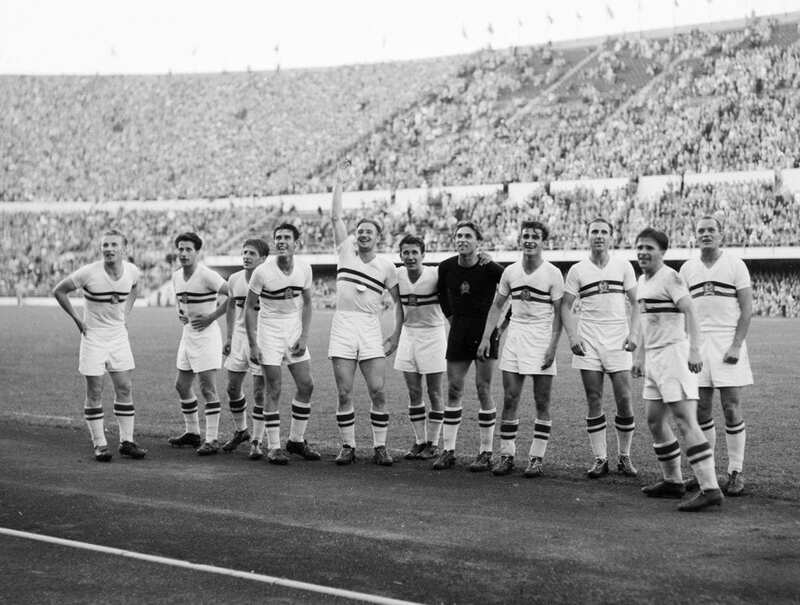 The Hungarian team celebrating victory in the Olympic football tournament on 2 August 1952. 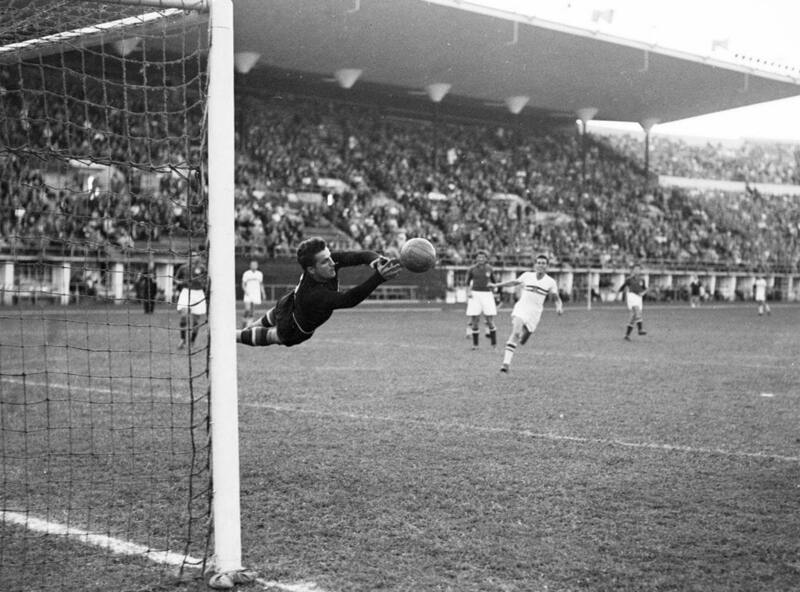 Ferenc Puskás and Zoltán Czibor scored the goals in Hungary’s 2–0 win over Yugoslavia in the final. Players from the left: Mihály Lantos, Péter Palotás, Zoltán Czibor, József Bozsik, Gyula Lóránt, József Zakariás, Gyula Grosics, Sándor Kocsis, Nándor Hidegkuti, Ferenc Puskás and Jenő Buzánszky. 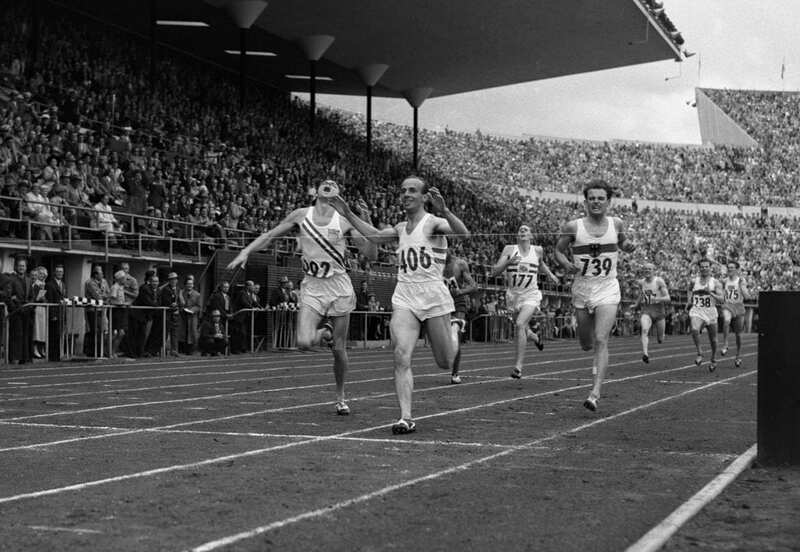 Marjorie Jackson of Australia was the overwhelming favourite to win gold in women’s 200 metres on 26 July 1952, and she did not disappoint. 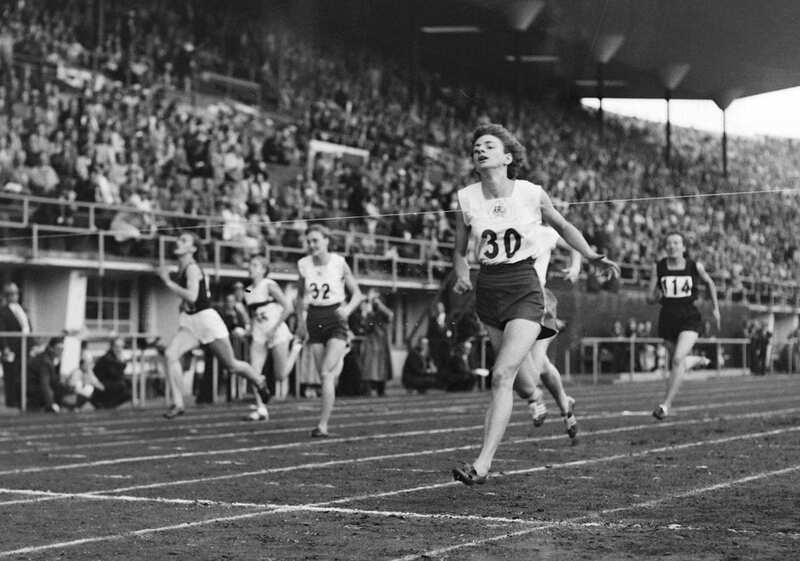 Dutchwoman Bertha Brower took silver and Nadezhda Khnykina (left) of the USSR bronze. Jackson had already won gold in 100 metres. Her bid for third Olympic victory failed when Australia dropped the baton at the last exchange of the relay final. 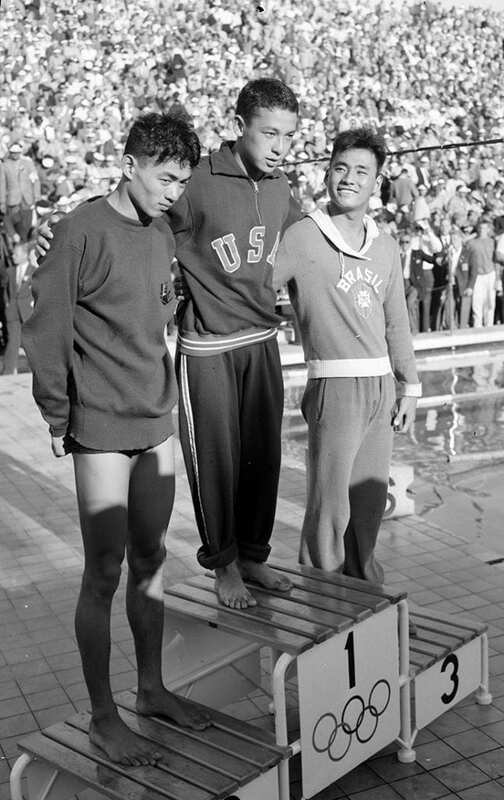 The medal ceremony of men’s 1,500 metres freestyle swimming took place on 2 August 1952. All three medallists were of Japanese origin but represented three different countries: the winner Ford Konno came from the United States, silver medallist Shiro Hashizume from Japan and bronze medallist Tetsuo Okamoto from Brazil. 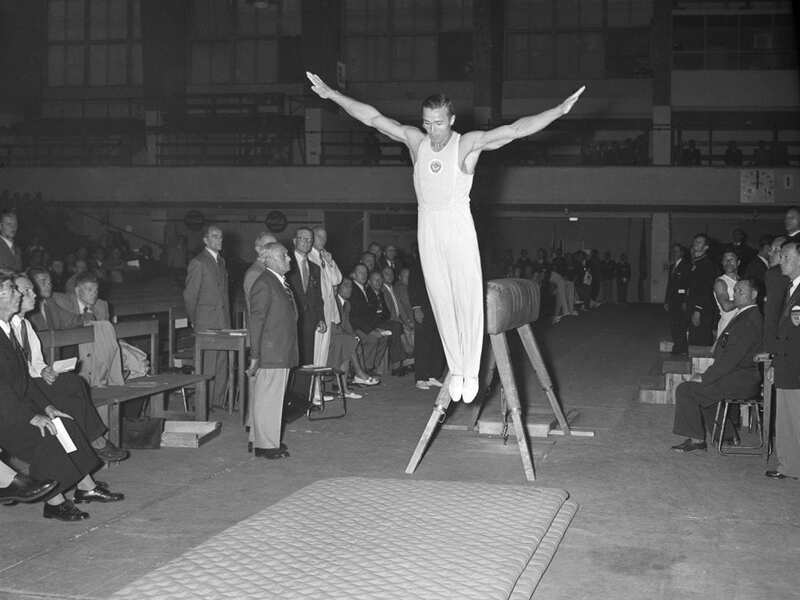 The gymnast Viktor Chukarin, representing the Soviet Union, was the most successful athlete of the Helsinki Olympic Games. He won a total of six medals: gold in team competition, individual allround competition, vault and pommeled horse as well as silver in rings and parallel bars. Born in Ukraine in 1921, Chukarin fought in the Red Army in the Second World War, was taken prisoner and survived four years in a German concentration camp. 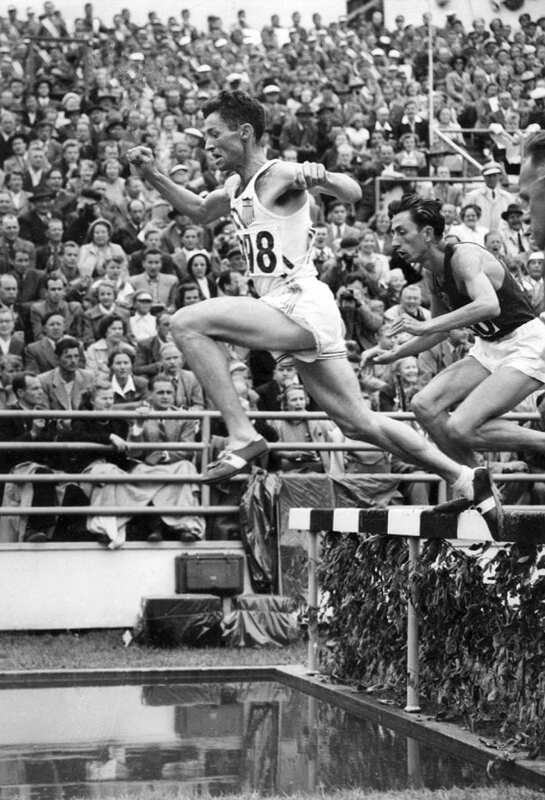 Horace Ashenfelter of the USA pulls clear of Vladimir Kazantsev of the USSR at the last water jump of the 3,000-metre steeplechase final on 25 July 1952. Ashenfelter, who worked as an FBI agent, was one of the least expected winners at the Helsinki Olympic Games. 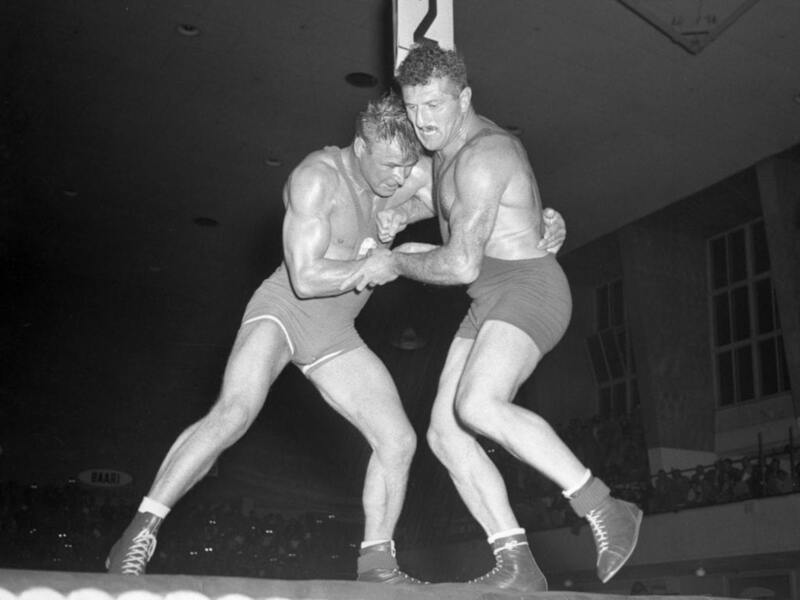 Kelpo Gröndahl of Finland (left) and Shalva Chikhladze of the USSR in the deciding match of the Greco-Roman heavy middleweight category (87 kg) on 27 July 1952. Gröndahl defeated the Georgian wrestler 2–1 to win gold; four years earlier in London he had taken silver. 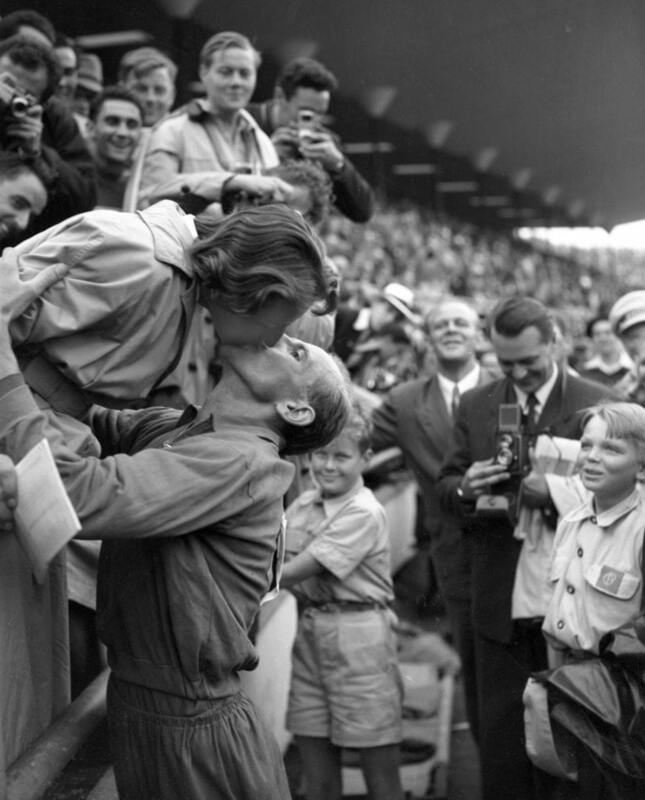 Sylvi Saimo of Finland on the victory podium at the Olympic Games of 1952 in Helsinki. The victory ceremony of women's 500 metres kayak singles canoeing at the Helsinki Olympic Games on 28 July 1952. From the left Erik von Frenckell (chairman of the Organising Committee), Gertrude Liebhart of Austria (silver), Sylvi Saimo of Finland (gold) and Nina Savina of the Soviet Union (bronze). 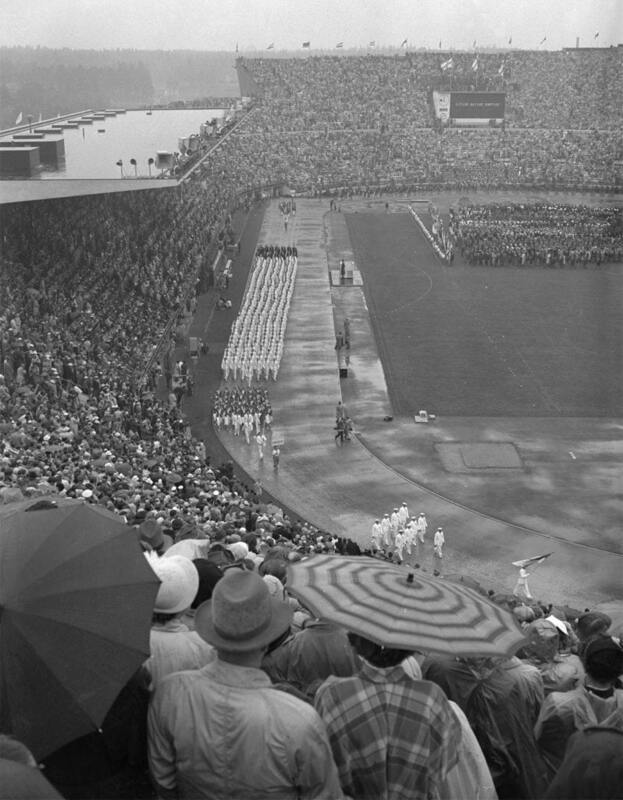 Medal ceremony of women’s 500-metre K-1 canoeing race on 28 July 1952. 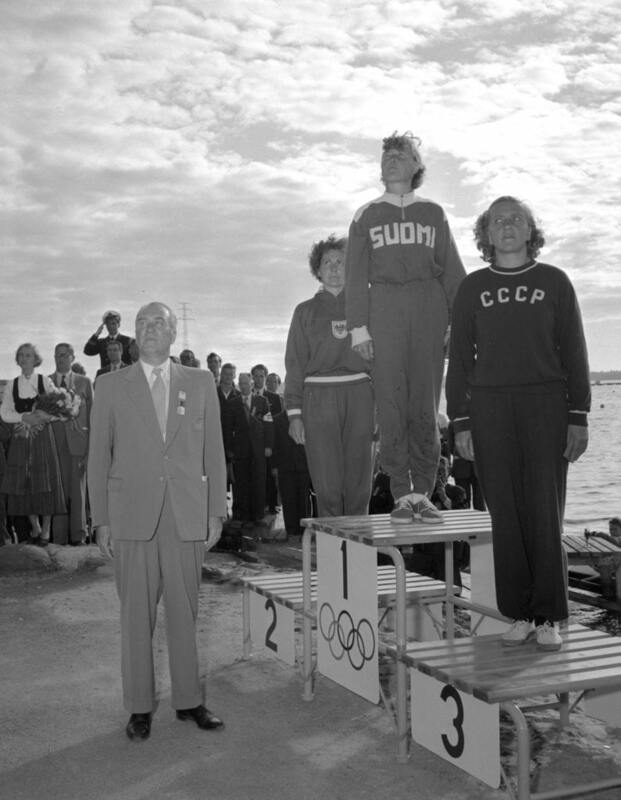 Sylvi Saimo of Finland won gold, Gertrude Liebhart of Austria silver and Nina Savina of the USSR bronze. The medals were awarded by Erik von Frenckell, president of the Organising Committee of the Helsinki Olympic Games.